The ultimate antipode, where all longitudes lead: Where south cannot be found on a compass – its needle unsteady like a sailor in the wind. The frozen end of the world and the outermost reach of geographical thought. The very end of it all. The last continent is not somewhere one associates with contemporary art. Doesn’t the latter term ring sweaty when mentioned in the same breath as the Ross Ice Shelf? Something other than miles separates our art world from the polar one. We who walk the baking flagstones of San Marco, who press flesh at the prosecco intermezzo – where chatter flits from the surface of the artwork to the decoration of the palazzo and the cut of dresses – we are very far removed. Perhaps this is a good thing. Antarctica is a place that does not forgive hubris easily; a place where people sometimes eat their boots to avoid starving. How was your canapé? A Polar region. But a polar opposite? There is a city whose name recalls Murder and Chicken Nuggets. McMurdo: Where a soft-serve ice cream machine dispenses every day from ten oclock – the vanilla-swirl stain on a continent frozen to its very core. Antarctica – no ring for it on the Olympic flag and no pavilion in the Giardini. The only continent without a biennale. Has its art history been written? It is only a matter of time. Literary anthologies and post-colonial criticism of explorers’ tales already exist, and sketches of icebergs have been made down below since 1895. Since then the depictions have kept coming, heroic dilettantes replaced by debentured creators funded by government committees. We have a better hypothesis: ‘a biennale upside-down’. The idea is more ambitious than the strategy of ‘embedded’ artistic practice that dominates the short history of Antarctic enterprise. It is also independent, so artists will be able to explore creative terrain further afield than the hegemonic issues of imperial conquest and ecology. Despite geopolitical overdeterminations – just in terms of sense – the southern realm provides an unparalleled counterpoint to the rest of the world inhabited by humans. What will artists find there? The sublime, perhaps. But there is more to discover. 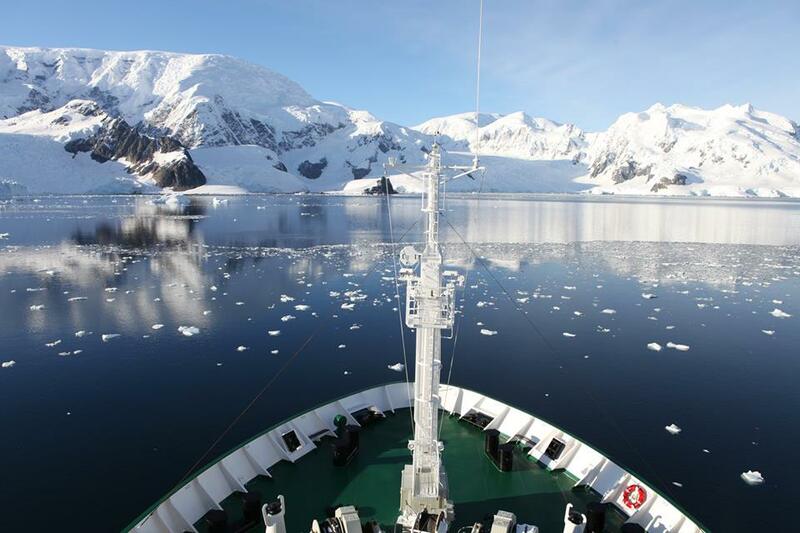 What will a hundred artists who travel there on two icebreakers have to say? What will they teach the scientists based there who, presently, set the interpretive agenda? But every two years? Who will go? Do we really have the resources? And even if we do, isn’t our plan just another assault on the last great wilderness? Fear not. Ours is a topsy-turvy biennale – so perhaps we will only go once. That said, Antarctica’s ice caps are melting, and as they become liquid venice will most certainly sink. In this case, people will find time in their diaries.